Direct-to-the-Wilderness rail service provides a fabulous beginning to an incredible journey, with magnificent scenery and friendly Princess service all along the way. You'll arrive refreshed for your very first night on land in Alaska at the Denali Princess Wilderness Lodge. Easy trails link the various places to shop and dine in this campus setting. And of course, no matter where you are, the natural splendor of the park is never far away. The morning is free to either relax at the lodge or choose one of the many optional excursions. Continue by motorcoach to Anchorage for the night. The new Royal Princess® is a gem of a ship, providing a wonderful and intimate ambience for visiting the world's fascinating destinations. 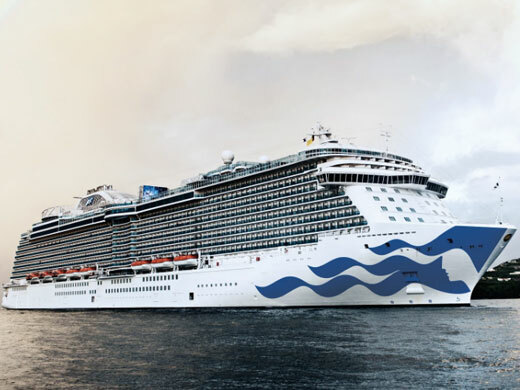 Onboard, you'll delight in many of the trademark features you've come to know on other Princess ships - ScholarShip@Sea® courses, fresh-water swimming pools, a casino, exciting nightspots and production shows. But she also boasts her own unique attributes, including fine wood paneling and leather armchairs, a library with over 4,000 titles - one of the best-stocked at sea - al fresco dining on deck and more.